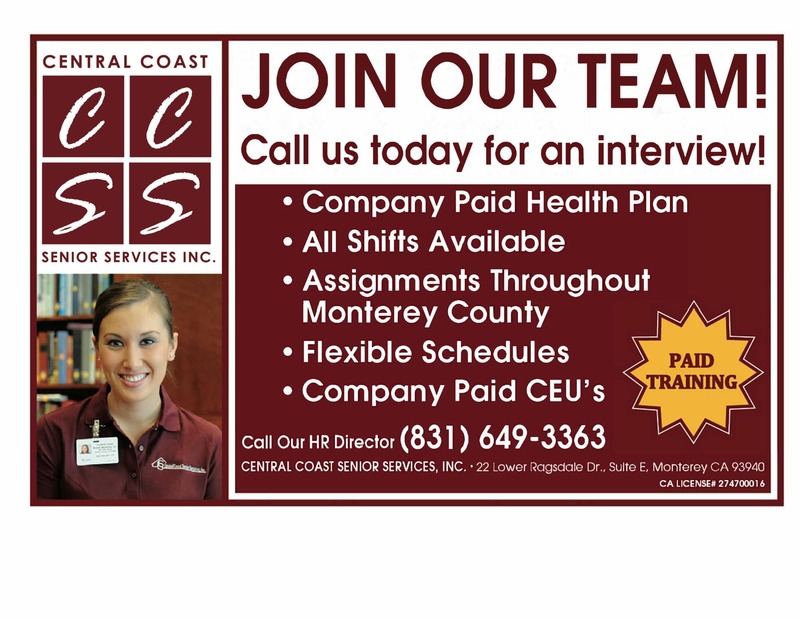 Careers | Central Coast Senior Services, Inc. If you have experience providing home care, assisted living or skilled nursing care come explore a career with us! Set up your interview today by calling 831-649-3363.